For my project, I used my favorites Layering Leaves Die from Concord and 9th. This die has so many fine details that you really do not need to overwork it and the result is absolutely fabulous. See what I mean? I always look for easy yet fun ways to work with the die. My lazy approach again was to spray mist and distress stain on watercolor paper. Let dry. I then did the diecut and arranged how I like it. I didn't even take out the tiny pieces from the dies and I actually saved them by adhering a small piece of Washi tape behind each heart. I did stamp some hearts fro the tone on tone look and strategically added dotty details all over the place. Letting the die and ink do all the work is the next best thing! Noticed that I only used one of the dies? You can see how I used this die from my 3 previous posts here. Use Dies to Create TEXTURES! Dies like these makes everything easy! I love using dies to create letterpress effect. What do you get when you pair the dies (mentioned above) up? 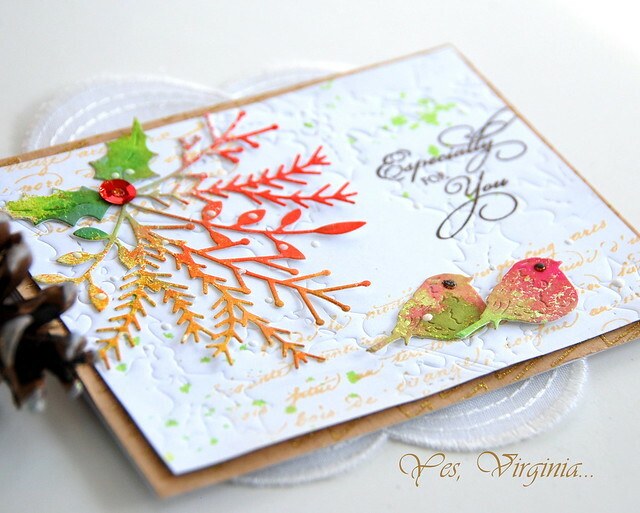 I stamped the Script before I ran the die through my Cuttlebug along with the Wizard Tan Embossing Mat. 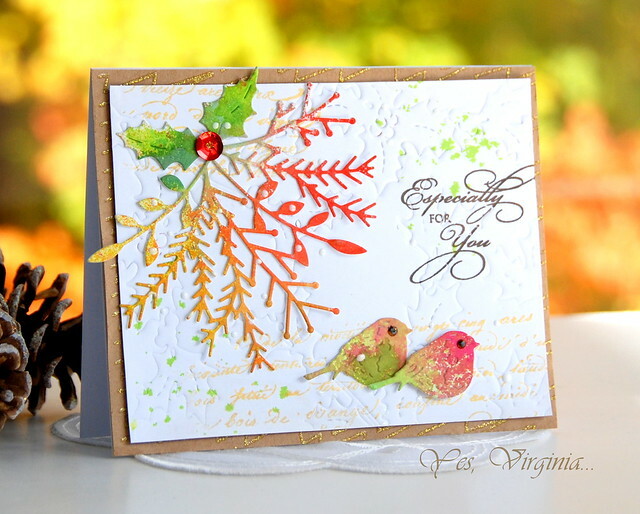 I strategically embossed the background with Bird Amidst The Holly. Now how cool is that? The die adds some brownie points for that, right? Now you should all know by now how much I love making DIY paper with sprays and mist. Here is a detailed post on that subject. So that's how I created the birdies and Winter Garland. 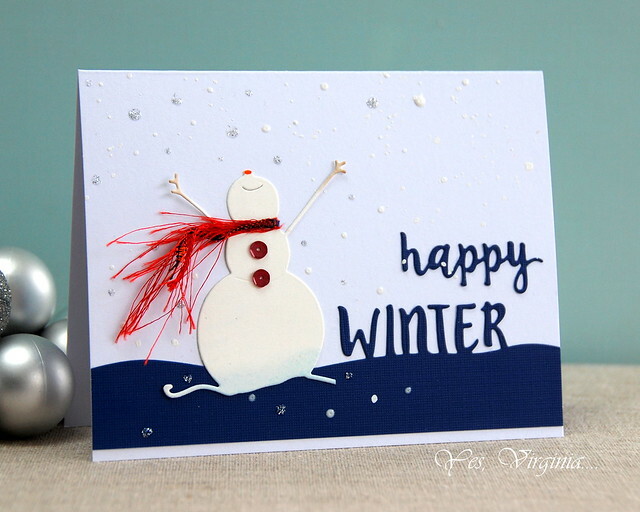 I love the details of this card, but it really takes little effort to make it! I hope you get some inspiration from this post. 😀Just a heads-up: Altenew is releasing the Layered Rose Stamping Kit today. This all-in-one bundle is perfect for creating realistic and in-depth roses for your projects! Create one of a kind project, or mass-produce cards with lovely roses. 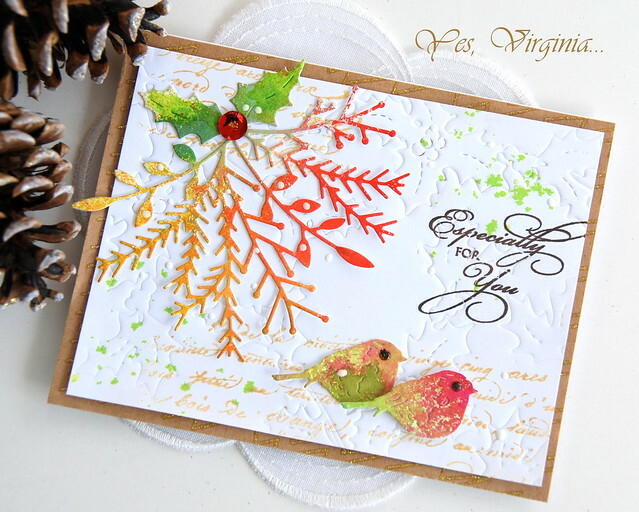 With the included guide, anyone can enjoy this kit-this also makes a great gift for newbie crafters. 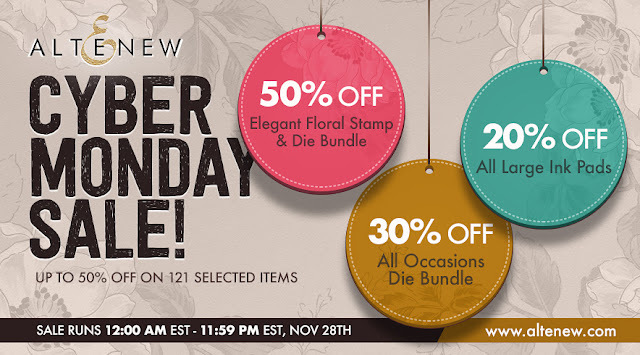 Sale starts 11/29 at 12:01am EST and ends 11/30 at 23:59pm EST. I know this kit is of exceptional value and it may benefit someone who has few Altenew products. I will be back later today with a card. Thank you for stopping by! 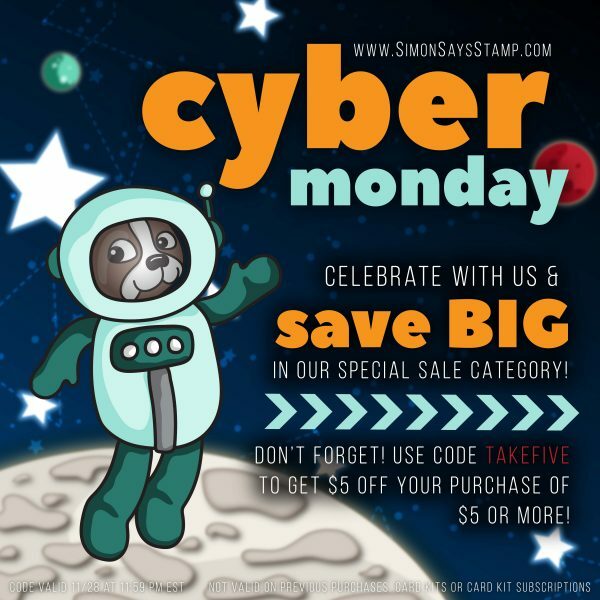 Happy Winter and Cyber Monday Sale! This is definitely THE one that we have been waiting for when it comes to online shopping. Without further ado, here are the coupons, deals at the end of the post. SHOP EARLY is the key! The snowman's (currently out of stock-wah!! )"scarf" was made with my old stash of ribbons. 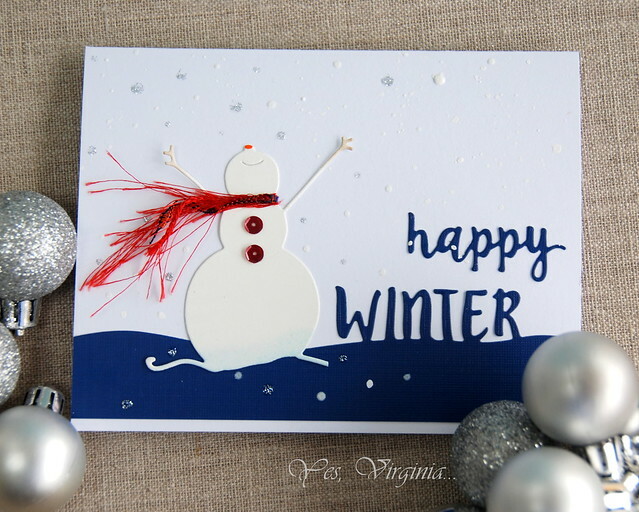 The die "happy Winter" makes this design super easy to create. Thank you for your support and feedback as always. These are the DEALS of the day! Click to shop the sales items. Cyber Monday Sale: Up to 50% off on 121 selected items. Sale starts 11/28 at 12:00am EST and ends 11/28 at 23:59pm EST. 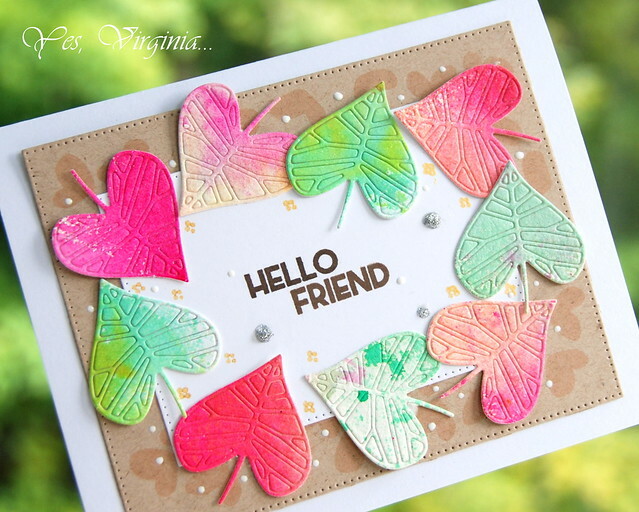 Create with Dies--The EASY Way!